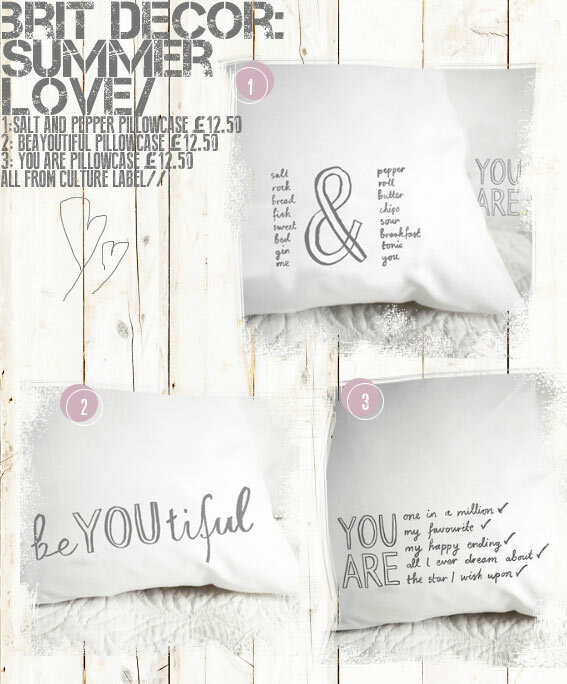 How beYOUtiful are these single pillowcases designed by Swedish-born Illustrator, Karin Åkesson? I am very much into freehand style typography at the moment and the romantic play on words only adds to the charm. There are a total of 4 designs to collect, each one hand printed in the UK and available from Culture Label. Having moved to the UK 15 years ago, Karin says these popular sayings helped to make her feel like a part of British culture. Well we are really pleased you're here Karin!